Since the fight is announced on 21st February we have already covered some of the most important facts going into the build of what will be the richest fight of all time, Here is a small fact file to the Mayweather-Pacquiao bout which is sure to take over sports in next couple of months. Main stuff you already know about the fight like, It will take place in MGM Grand Arena on 02 May 2015 and tickets are hard to come buy but here are a few things you need to know for the biggest fight of this century. Mayweather vs Pacquiao is more than just a super fight, its a welterweight unification title fight which will be fought at the welterweight limit of 147 pounds. 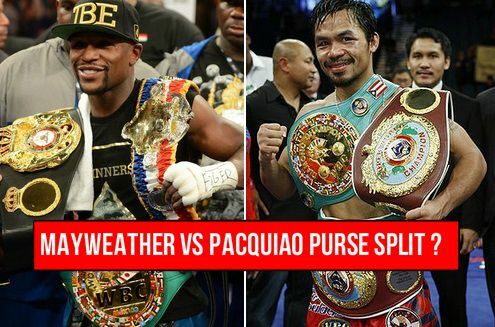 Mayweather’s WBC welterweight title and Pacquiaos WBO world title will be on the line along with a special belt to be produced for the winner of this fight. 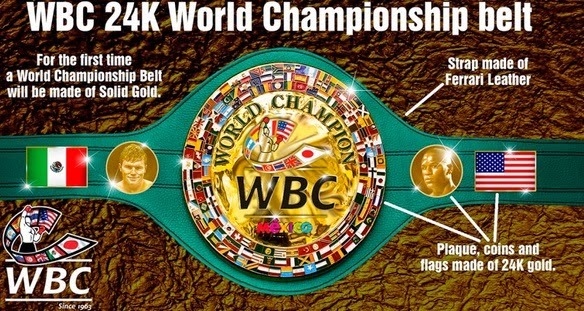 Just like Mayweather-Alvarez fight 2 May the winner will get a specially designed belt made of diamonds and Platinum. Mayweather won his WBC world title belt after defeating Robert Guerrero in 2012 while Pacquiao earned his WBC when he defeated Miguel Cotto back in 2009 but lost and won against Timothy Bradly in his two fights against him. The biggest obstacle in making this fight was the concerns over Money, it is by far the richest boxing fight of all times and Mayweather is on the “A side” hens getting a 60% share of total purse. Mayweather is set to make around $150 million from the fight while Pacquiao will get something in the region of $100 millions in fight purse and ppv share. When Mayweather fought Marcos Maidana in 2014 for the first time there was a last minute controversy before the big fight when Mayweather camp was unhappy with the Gloves Maidana was suppose to wear (thinly-padded Everlast MX gloves) and he had to switch to Everlast Powerlock gloves which Mayweather camp wanted him to wear. 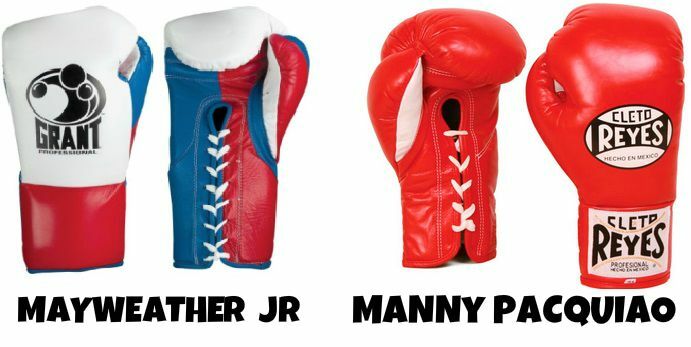 But as far as Mayweather vs Pacquiao is concerned there wont be such controversy again as the kind of gloves both fighters will wear has already been agreed in the contract. Mayweather to wear “Grant brand gloves” which has extra padding on the knuckles while Manny Pacquiao to wear “Cleto Reyes gloves” which has less padding and known as punchers gloves. It will be the just second time in US boxing history that two big boxing channels Showtime and HBO will jointly present the much anticipated PPV event. The both networks will charge the same PPV price, which is suppose to be $89.95 or $99.95 for HD and you can either buy the PPV at HBO or showtime but the revenue will be shared between the two networks with the same model like 2002 PPV Tyson-Lewis. Mayweather vs Pacquiao set to become the highest grossing boxing fight in the history of boxing. The initial estimate was of around $300 million but since the fight is announced the kind of reaction it got from all sort of people (boxing fans, celebs and even other sport athletes) now it is believed that it might reach somewhere around $350 million to $400 million in total revenue.